Psychics and fortunetellers are often seen as relatively harmless, dispensing shopworn advice about tall handsome strangers, a brighter future, and reassurances that departed loved ones are indeed watching over us. For $100 or less we can gain a temporary feeling of control over our destinies, armed with the foreknowledge (foreguessing?) of what will (might?) happen. Often of course the predictions are too vague to be verifiable, and clients who are inherently skeptical generally don’t consult psychics in the first place. When psychic predictions fail, it often goes unnoticed or rationalized away, due in part to what in psychology is called confirmation bias, or remembering the hits (accurate details or predictions) and forgetting the misses (information that turned out to be wrong). Nowhere is the failure of psychics and psychic detectives more clear and tragic than in the case of missing persons. A recent case highlights this problem. Wisconsin teen Jayme Closs went missing after her parents were found dead in their home on October 15, 2018. Around 1 in the morning a 911 call was made from the home, but no voices were heard. Police rushed to the scene to find the parents dead and the 13-year-old missing. The case baffled police and the public. Her body was not found, suggesting that either it was well hidden or she was still alive. Over 1,200 tips, including from psychics, poured in to the Barron County Sheriff’s Department. Extensive searches were conducted, and missing persons flyers were widely circulated as the case made national news. Finally, about a week ago on January 10, Closs was found alive. Not by psychics, nor by police, but by a woman walking her dog. Closs had escaped from her captor’s cabin in a wooded area about 70 miles from her home. Her alleged abductor, Jake Patterson, was soon taken into custody and is currently charged with multiple counts including kidnapping and homicide. Closs joins other high-profile missing persons including Elizabeth Smart and Jaycee Dugard. Elizabeth Smart was kidnapped from her Salt Lake City home in 2002 and held captive for nine months by a husband and wife. Jaycee Dugard was kidnapped in 1991 and held for eighteen years before being discovered in a virtual prison in the back yard of a couple’s home in California. Over 1,000 psychics (some of them with national profiles, including Allison DuBois, inspiration for the hit NBC TV show Medium) gave information they claimed would locate Elizabeth Smart. Tragically, none of it led to her rescue; she was recovered because a couple recognized her on a city street and called police. There are thousands of self-proclaimed psychics and psychic detectives in the world who claim to be able to find missing persons.  Some are rich and famous, such as John Edward, DuBois, Noreen Renier, and Carla Baron. If they truly have the powers that they claim, why do we see horrific cases like those of Closs, Smart, and Dugard? Why aren’t psychics leading police to rescue these innocent young victims within hours or days of their abductions? 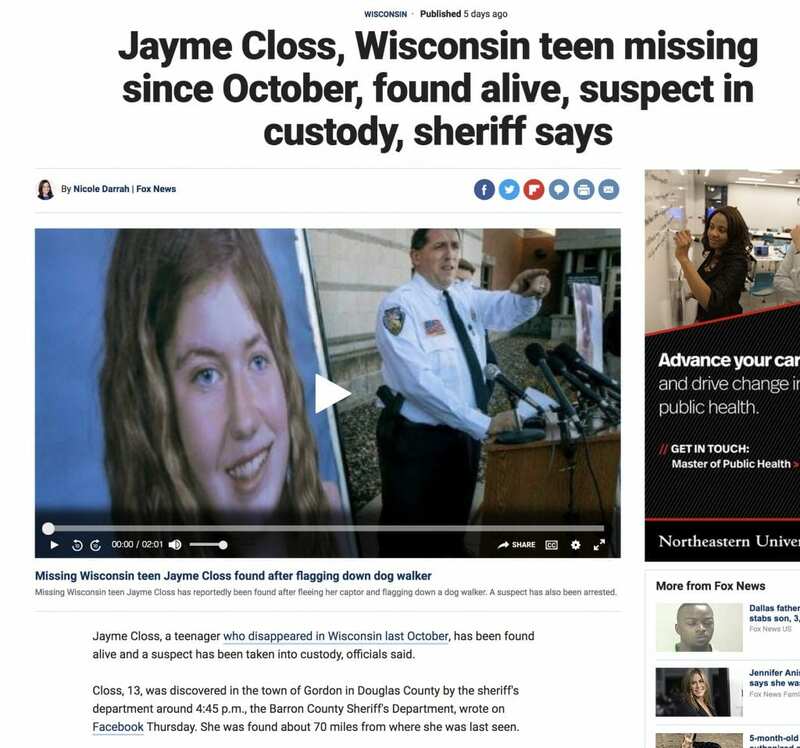 Why did Jayme Closs have to wait nearly three months before bravely escaping from her abductor? Why did Jaycee Dugard have to wait nearly two decades for her rescue—by suspicious neighbors, not psychics—while being subjected to continual sexual and physical abuse, if a psychic had the power to find her? Despite claims to the contrary, there is not a single documented case of a missing person being found or recovered due to psychic information. The fact that any well-known abducted or missing person you can name is either still missing or was not found by a psychic should tell you something. Perhaps America’s psychic stars could take some time away from their celebrity tours, media appearances, and waitlisted $300-per-hour private readings to literally save lives. If they truly have the powers they claim, there’s no downside. Leading police to a high-profile missing person would give a psychic immeasurable fame and credibility, as well as public goodwill; that person would literally be a hero and get guaranteed national positive publicity. Either the psychics don’t care about these victims and don’t want to help them for some apathetic or cruel reason, or they can’t. Either way, I’m not impressed.